Weep not for Starbucks. But in the North End, what comes next? It was busy inside Monica&apos;s Mercato in the North End on June 29. Sometime later this year, the historic Palazzo delle Poste building in Milan will be home to something found nowhere else in Italy: a Starbucks store. But the project, one of Starbucks’ large-scale, high-end roasteries, doesn’t seem to have given other cafes in the area any real jitters. “Bring it” sounds like the reaction of a business that has nothing to fear from a cookie-cutter international chain. But in Boston’s little corner of Italy, the North End, the reaction to a proposed new Starbucks at the vacant corner of Hanover and Cross streets was more like “stop it.” That message appears to have been received. And while no one should waste their tears on a massive multinational corporation, the process by which the green mermaid gang was run off does not bode particularly well for Boston. At public meetings, in petitions, and on social media, local business owners and residents offered enough anti-Starbucks arguments to win a NIMBY bingo game: It doesn’t suit the historic character of the neighborhood. There are plenty of other businesses that do the same thing. Local institutions will be driven out of business. One new city proposal in Boston would make it harder for chain stores to set roots in areas where residents would rather see a locally owned business. As is often the case in these disputes, even the complaints seem to contradict each other. 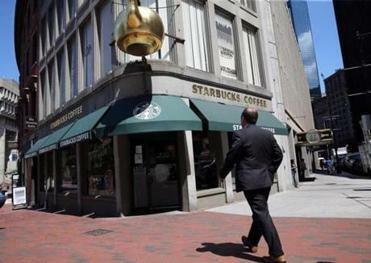 If nobody wants a Starbucks in the North End, how will it drive others out of business? Is it more evidence of gentrification, as some said? Or is it, as someone grossly railed, a precursor to the corner being overrun with “junkies” using Starbucks’ free bathrooms? What if it were a Caffe Nero? 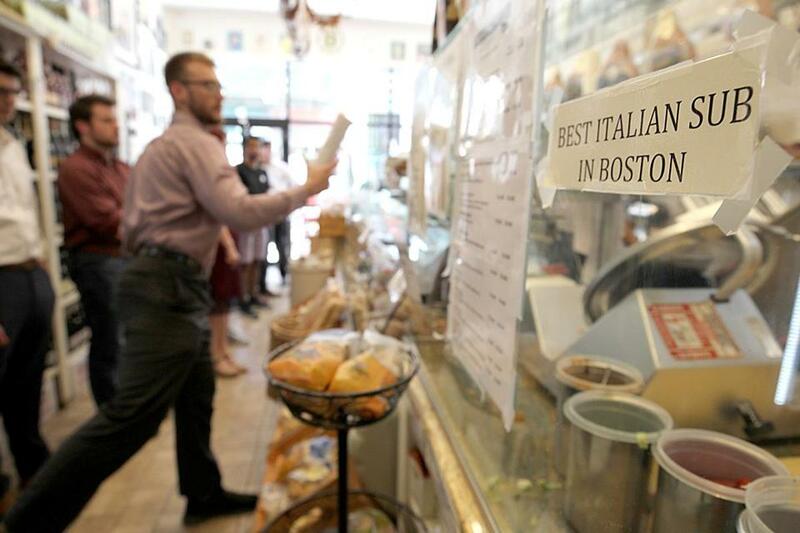 Would the baristas have been accused of fiddling with their milk steamers while Boston’s little slice of Rome burned? Finally, in the face of opposition from local business owners, residents, and Mayor Martin J. Walsh, the plan appears to be dead. City officials confirmed that while the proposal has not been officially withdrawn, it is on hold indefinitely. Charter Realty & Development has not made plan B public, and didn’t return messages; neither did a local lawyer who has been representing Starbucks. It’s hard to feel sorry for Starbucks, even if the company’s reputation as the face of gentrification is at least a decade out of date. There are about a dozen Starbucks within easy walking distance of the North End corner where the new one would have been. The world is not wanting for venti vanilla iced lattes. Frankly, it’s not what I would have preferred for that corner, either. Would I personally prefer someplace to get a beer and sit on a patio or roof deck across from the Greenway on a hot afternoon? Sure I would. And if we’re only doing coffee and pastries, I’d prefer something local, like Joanne Chang’s marvelous Flour Bakery — a small chain more along the lines of the Thinking Cup that already exists in the North End. We can all daydream about what we think should go there. And maybe something the neighbors find more palatable will present itself in short order. The way we protect places we cherish is not by allowing a business to be chased off. Maybe the locals are right, and a local coffee chain won’t work in the area — the Peet’s location a block away is closing on Friday, Pregmon said. But that’s the way these things should be decided: by people choosing where to spend their money. For now, though, and for the foreseeable future, there will be no place on that stretch of Cross Street to spend money at all. The only thing the neighborhood uprising preserved was the historical character of what was once a liquor store in the shadow of the Central Artery. The idea that the supposed gateway to the North End has some special significance would be easier to swallow if it hadn’t for years been a fairly shabby bank branch. Nobody is mourning Starbucks here, but papered-over windows aren’t exactly cause for celebration. There is much in the North End that is worthy of preserving. The quiet side streets can be kind of magical. The density of the restaurant district is unrivaled anywhere else in the city. On Tuesday, I walked over to Monica’s Mercato on Salem Street and got an Italian sandwich the likes of which may be unmatched up and down the Eastern Seaboard. And if Panera came for, say, Bricco, I’d be pretty tempted to stand on Hanover Street with a strongly worded sign. But the way we protect places we cherish is not by allowing a business to be chased off by would-be competitors. It’s not alternately wielding scare tactics about yuppies and vagrants, and gesturing vaguely toward some imagined recollection of a time that never quite existed. And it’s certainly not by letting what could be a dynamic streetscape stay ugly and vacant while we wait for someone to thread an ever-tinier needle of public approval. No, it’s by simply supporting the places we love now, and by avoiding the places we don’t.